Educators can now download free lessons plans based on this year’s five America the Beautiful Quarters and their designs, the United States Mint announced today. The U.S. Mint offers educational lessons on coins from the Lincoln cent to the series of Presidential dollars. Targeted for grades K-12, they cover a range of subjects to include social studies, language arts, science, technology, math and visual art. 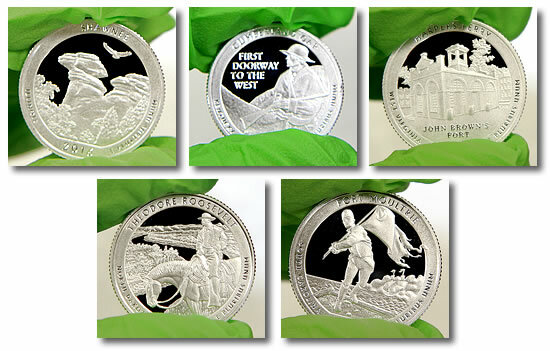 Introduced in 2010, America the Beautiful Quarters feature reverse designs that commemorate national parks and other national sites throughout the United States and its territories. 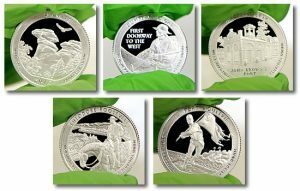 The five quarters for 2016 honor Shawnee National Forest in Illinois, Cumberland Gap National Historical Park in Kentucky, Harpers Ferry National Historical Park in West Virginia, Theodore Roosevelt National Park in North Dakota, and Fort Moultrie in South Carolina. The lessons are free for educators looking to use coins in their classrooms, homes, or youth organizations and may be downloaded at www.usmint.gov/kids/teachers/lessonPlans/. The U.S. Mint continues to wrongly use the slang term “penny” for its one-cent coin, including on some of its coin sets (Proof sets under the picture of the Lincoln cent on the outer box & on the set geared for young collectors – the 2014 Coin Discovery Set: An Introduction to Coin Collecting). The U.S. Mint has obviously never struck a legal tender penny coin, & promoting the use of the street slang word “penny” is simply wrong in so many ways, especially since some countries actually have legal tender penny coins. Why the U.S. Mint continues to use incorrect numismatic terms is beyond belief! Numismatics is a science & young collectors need to be given the 100% historical truth. Just do a search on the Mint’s H.I.P. young collectors program & they use the term “penny” very often. A sad lesson for students of all ages.